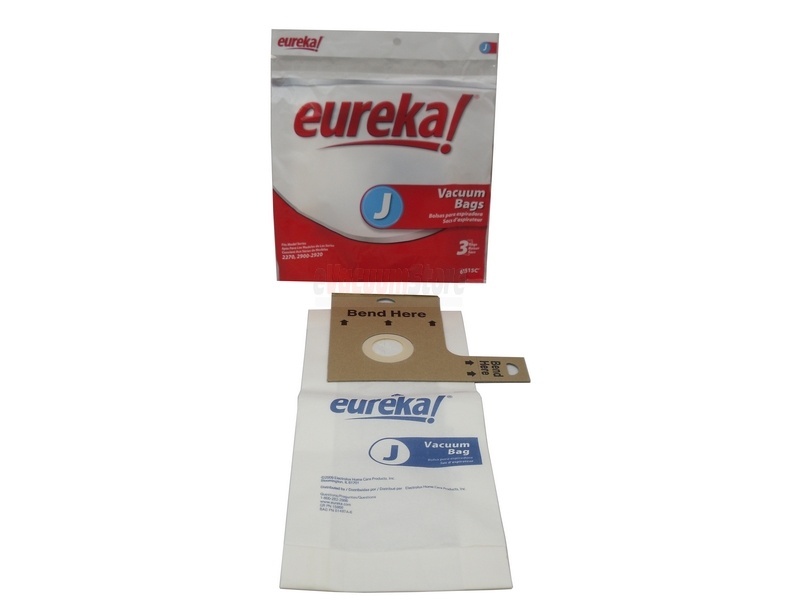 These genuine Eureka Style J dustbags fit 2700 and 2900 series Eureka upright vacuum cleaners. One package includes three replacement bags. We carry the largest selection of genuine and generic Eureka vacuum cleaner bags available online. For more information, or to place an order over the phone, please call (866) 972-8227.